Transcript: Hi it’s Ben Lai from Sales Ethos. Today I’m going to address the question “Should Sales Professionals Use Profanity?” There are some very popular people out in the public space who use profanity as part of their personal branding. Two such examples I can think of are Gary Vaynerchuk and Dan Lok. They’ve just kind of made it a part of who they are. And they use profanity quite profusely. If famous and successful people use profanity, should the sales professional? So is that a justification for you as a sales professional or an entrepreneur to use it? For every person that you attract from foul language, you are going to lose a lot more. In spite of all of the success that Gary V and Dan Lok have had… I would think that by not using foul language, that they would allow more people to accept their message. After all we don’t follow them because of their use of foul language. We follow them in spite of it. So that’s my thoughts on the celebrities using profanity. 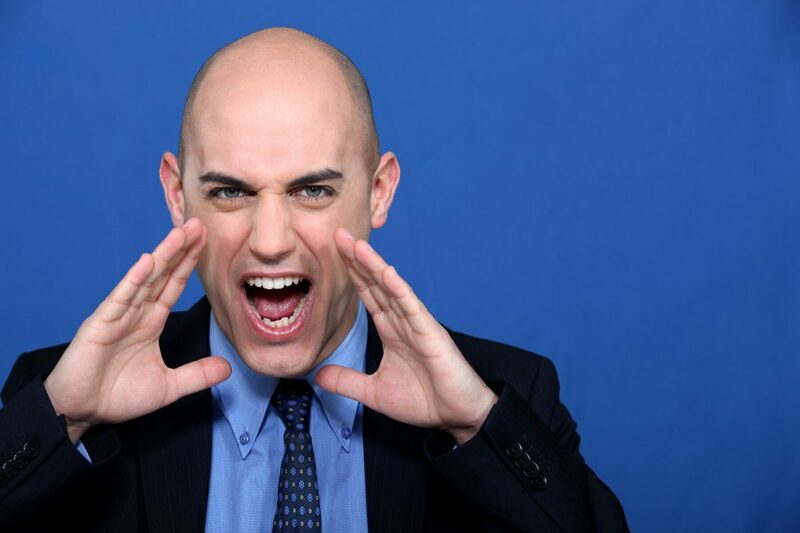 If clients use profanity, should the sales professional? But when it comes to sales situations… Now I was having this discussion with another salesperson and they were saying that they use profanity as a way of fitting into the crowd. They feel that because the client is using it on a regular basis that they need to as well to fit in. But to this I would respond that just because the client uses foul language, it doesn’t mean that it gives you permission to as well. The classic example of this are the African Americans who use a certain word to address each other, which is quite inappropriate for anybody else to use. So in these situations, I would rather err on the side of caution and prevent that case from happening. Another consideration for you is that there is certain mental feedback with the language that we use. Have you ever noticed that when you use profanity, that you tend to feel a little bit angrier on the inside? This is a process in psychology called catharsis. We think that when we express our anger… For example, punching a punching bag and swearing, that it’s going to make us feel better. And to some extent it does. But the unfortunate side effect is that it actually can create longer lasting anger. So rather than using profanity as a way of expressing yourself on a regular basis, try to diversify your ways of expressing yourself. Perhaps going for a run or doing some weight exercises. Those are the sort of things that will relieve the anger and the tension without having that neural feedback of creating more anger as a result. On the philosophical side, I want you to consider this point. Now, I don’t know if you believe in the Bible or not, but I personally believe that God created the world using words. He spoke and the world came into being. The whole universe in fact. And in a small way he has given us as human beings the ability to create and to destroy using words. Now imagine that! We have the ability to create relationships with potential clients where there was no relationship before using only the power of our words. As professional wordsmiths, we use words as a part of our toolkit to persuade people to buy our products. Therefore, we need to have a proper and a healthy respect for the language that we use. I hope that in some small way, you’ll start to see how important it is to watch the words that we use. Try to expand your vocabulary and express yourself in the way that still true to yourself without resorting to the use of rude words and inappropriate language. You’re going to change the way that you see yourself and the way that other people perceive you. So what are your thoughts? I’d really love to hear what how you use your language. Do you use profanity to good use and increase your sales? Leave a comment below. Don’t forget to like and subscribe, and remember that integrity plus skills equals success! This entry was posted in Sales Ethics, Sales Training Melbourne. Bookmark the permalink.